Wishing you and yours a healthy and blessed New Year with lots of laughter! And for those who haven’t experienced the pleasures of stir-frying, treat yourself to a 14-inch flat-bottomed carbon-steel wok! For under $25 it’s an investment that will last you a lifetime and more! 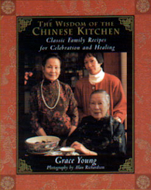 My New Year is fantastic, Ms. Young, thanks to your beautiful books and my purchase of a 14″ flat-bottom wok in November. I use it three times daily (sometimes) since my family likes the egg pancakes with scallions, mushrooms and other vegies. In the short time I have had the wok, it has become something very special to me–something I can’t explain to my family, who I cook for. 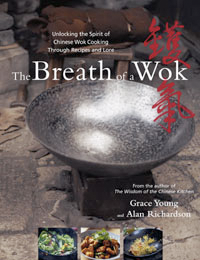 I have not read “Breath…” cookbook, but my favorite by far is your first one. 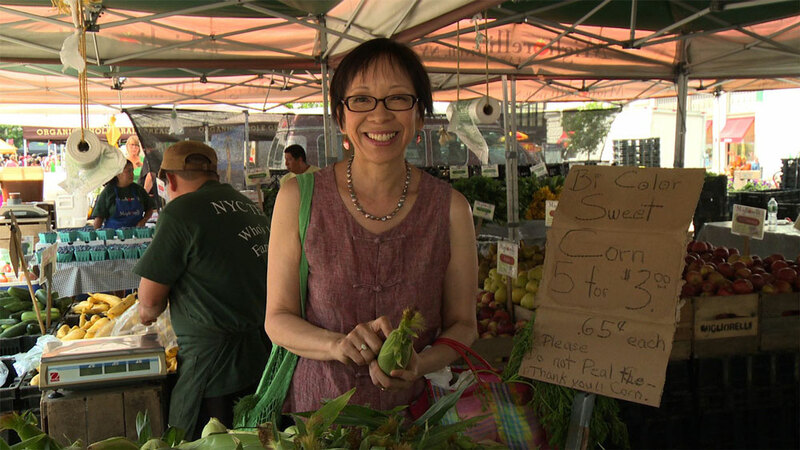 Thank you for all you have given to us, Ms. Young. For the gift of good cooking and good food. I am going to really try and get to your PA appearance. Christopher, Thanks so much for taking the time to write me. I’m so thrilled that you’ve discovered the joys of cooking with a wok. It’s a beautiful tradition that sadly is at risk of becoming lost. Have you checked out Wok Wednesdays? 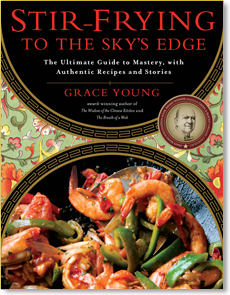 It’s a group that’s been stir-frying their way through my book Sky’s Edge. There’s also a Wok Wednesdays FB page and it’s a great community for sharing questions and discoveries about stir-frying and wok cooking. It would be great to meet you in PA. In the meanwhile, happy new year!